Instead of simply going out for a bite to eat why not make it an experience you’ll never forget? Sunset Cove offers dining the way it was meant to be: unique, fresh, mouthwatering entrees served as close to the resplendent Hudson River as you can get. 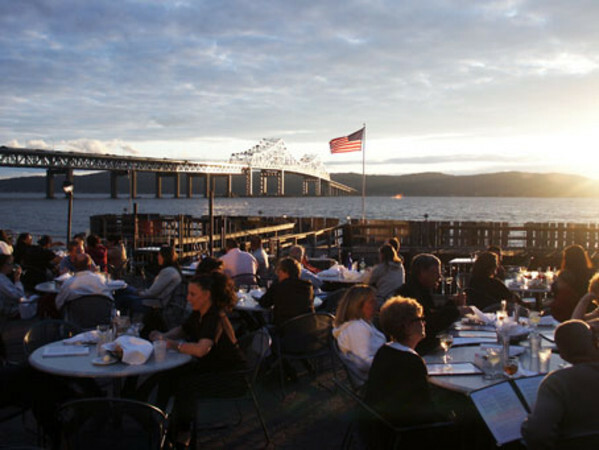 It’s hard to believe, but the views of the majestic Hudson, the sparkling lights of the Tappan Zee Bridge and soaring Palisades take a backseat to the masterful Italian Cuisine that awaits. The outstanding culinary staff tap into their creativity and flair when presenting such entrees as house favorite Chicken Scarpriello served alongside a flavorful Day Boat Scallops Entree. We are located in the Washington Irving Boat Club at 238 Green Street in Tarrytown, NY. From October 29 through March 25, we are closed on Mondays. Lunch is served Tuesday through Saturday, 11:30 AM until 3:00 PM. 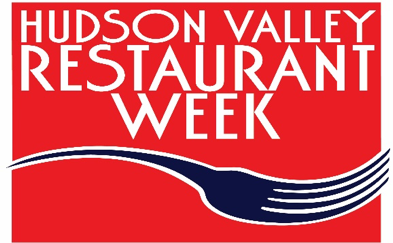 Dinner is served Tuesday through Thursday 5:00 until 10:00 PM, and 5:00 until 11:00 PM Friday and Saturday. Brunch is available on Sunday, 11:30 AM to 3:00 PM and Sunday Dinner is served from 5:00 PM to 10:00 PM. All major credit cards are accepted and accommodations can be made for parties up to 100 indoors and 100 outdoors. Sunset Cove is proud to offer spectacular views from inside and out. Our main dining room looks out over the Hudson River and Tappan Zee Bridge, taking in the Palisades all the way up to Hook Mountain State Park. Sunset Cove’s full-service outdoor dining area combines our world class service with the Rivertowns’ grandest sunset views. Enjoy our tiki bar and outdoor grill dining in the summer, combining the same Hudson River views with a more casual atmosphere. Views of the awesome New NY Bridge! The historic construction is complete. There is a great view of the New NY Bridge from our dining area. 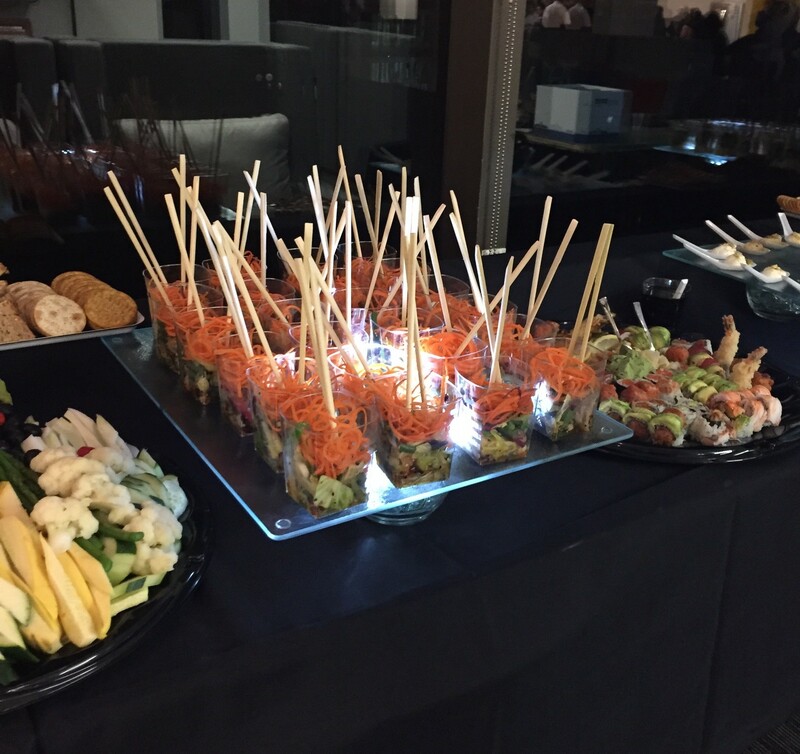 Our catering menu is the starting point for great collaborations between you and our chefs. Do you have something special in mind? Just ask. Closed from 3pm – 5pm daily. 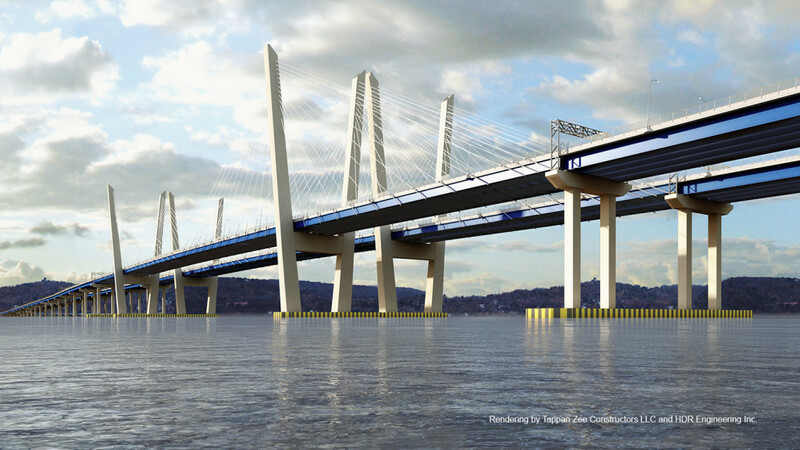 Tappan Zee to Route 9 Tarrytown (1st exit after bridge). At end of the ramp make a Right turn onto Route 9. Follow one mile to Main Street. Make Left onto Main Street and follow to the bottom of the hill. Go straight through the traffic light, and bear Right up service ramp. At the top of the ramp make your first Left. Then again make a Left. Follow straight till the end of the road. Enter the Washington Irving Boat Club follow the sign to restaurant. Throgs Neck Bridge to the Major Deegan thruway North to exit 9, Route 9 Tarrytown ( Last exit before the bridge) end of the ramp make a Left turn onto Route 119. Follow to the end. Make a Right turn onto Route 9. Follow one mile to Main Street. Make Left onto Main Street and follow to the bottom of the hill. Go straight through the traffic light, and bear Right up service ramp. At the top of the ramp make your first Left. Then again make a Left. Follow straight till the end of the road. Enter the Washington Irving Boat Club follow the sign to restaurant. Saw mill Parkway South to exit 22, 287 West to exit 9, Route 9 Tarrytown ( Last exit before the bridge) end of the ramp make a Left turn onto Route 119. Follow to the end. Make a Right turn onto Route 9. Follow one mile to Main Street. Make Left onto Main Street and follow to the bottom of the hill. Go straight through the traffic light, and bear Right up service ramp. At the top of the ramp make your first Left. Then again make a Left. Follow straight till the end of the road. Enter the Washington Irving Boat Club follow the sign to restaurant. New England thruway south to 287 West. Take to exit 1 Tarrytown Make a Right onto 119 Follow to the end. Make a Right turn onto Route 9. Follow one mile to Main Street. Make Left onto Main Street and follow to the bottom of the hill. Go straight through the traffic light, and bear Right up service ramp. At the top of the ramp make your first Left. Then again make a Left. Follow straight till the end of the road. Enter the Washington Irving Boat Club follow the sign to restaurant.